THE PREMIUM OUTLET COLLECTION EDMONTON INTERNATIONAL AIRPORT BRINGS LIFE TO SHOPPING. Premium Outlet Collection Edmonton International Airport is the only fully enclosed outlet shopping centre in the Edmonton Metropolitan area. 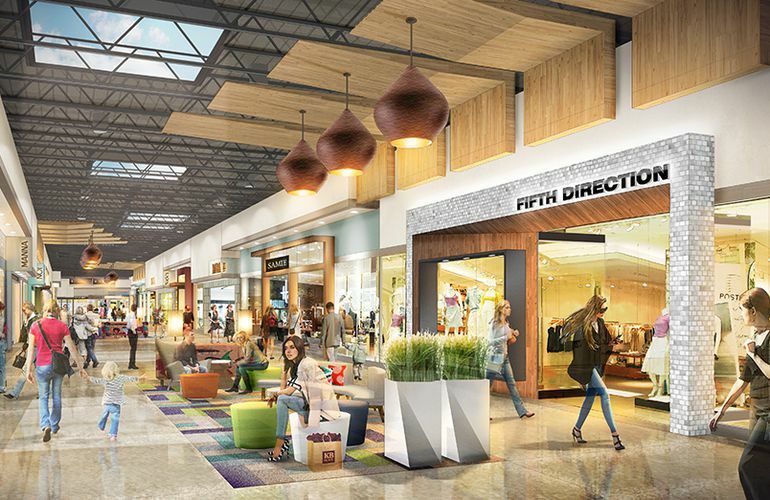 With over 428,000 ft² of retail space, it will feature up to 100 fashion brands and outlet stores that are sure to please value-seeking and fashion-conscious shoppers. The centre is owned by Ivanhoé Cambridge and Simon Properties Group, and managed by Ivanhoé Cambridge. Vertically integrated in Canada, Ivanhoé Cambridge invests internationally alongside strategic partners and major real estate funds that are leaders in their markets. Through subsidiaries and partnerships, the Company holds interests in more than 1,000 buildings, primarily in the residential, office, retail and logistics real estate sectors. Ivanhoé Cambridge held more than C$60 billion in assets as at December 31, 2017, and is a real estate subsidiary of the Caisse de dépôt et placement du Québec (cdpq.com), one of Canada's leading institutional fund managers. For more information: click here.